Back to them bezels… Are they the space around one of the best screens in business or the worst eyesore for a flagship? 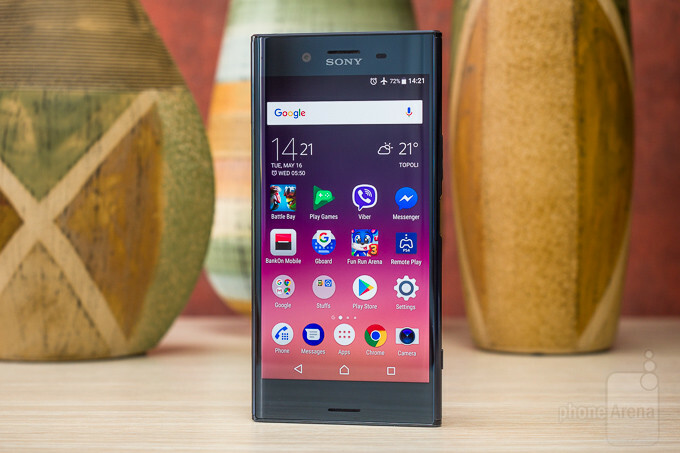 Everyone’s entitled to an opinion but we do think the Xperia XZ Premium’s one of the best-looking phones around. We spent plenty of time with the phone and the experience has been a pleasure – both handling it and simply looking at it. The Loop Surface design has been polished to perfection this year and the sharp (literally!) contrast of the smooth surface and the metal edges on the top and bottom makes for a great feeling in the hand. Don’t let the Loop Surface name fool you, though. The front and rear are made of flat pieces of Gorilla Glass 5, one of the sturdiest solutions in the market, but they don’t wrap around the phone. They almost seamlessly transition into the curved polycarbonate sides but it’s by no means glass all around. 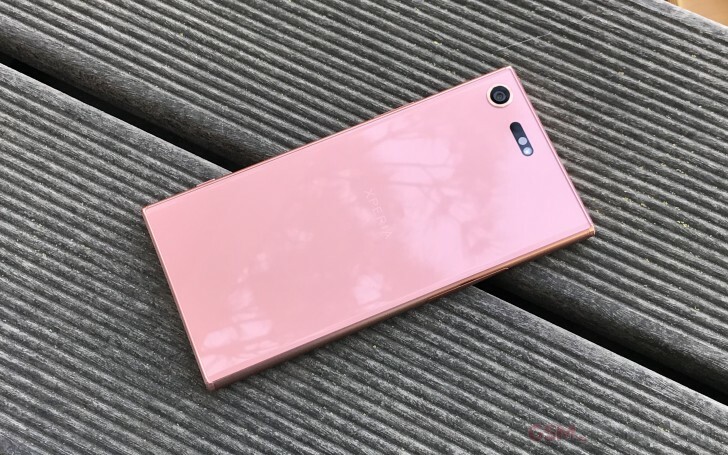 Sony successfully matched the sides to the front and rear and it’s near impossible to spot a gap on the Deepsea Black model. Made of plastic, the sides are also better at absorbing shock, which is more practical than premium but we don’t mind at all. The top and bottom sides of the chassis are made entirely of metal. They are flat and diamond-cut along the edge to form a reflecting facet. The surface of the facets is double anodized, which makes the finish more durable, and contributes to some light-bending effects. 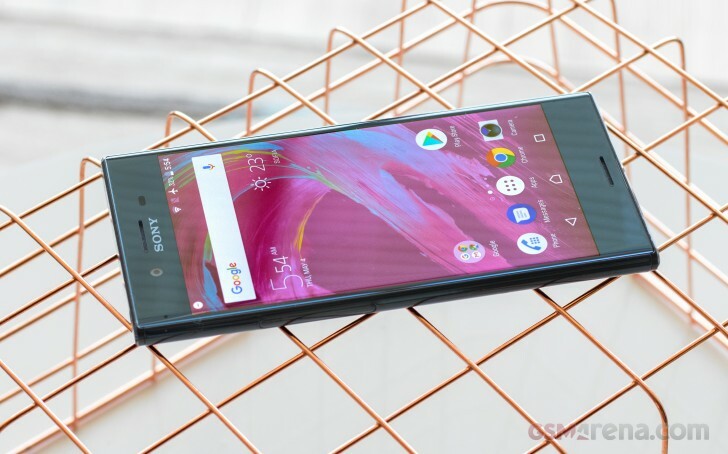 With the XZ Premium, Sony once again delivered on the Xperia flagship legacy. The phone is dust-and waterproof (IP68), and has stereo speakers – signature features of the Xperia flagships. There are no caps on any of the ports but the SIM slot. Overall, what the LG G6 and Galaxy S8 shed in bezels, the Sony gained. Its top and bottom bezels are of iPhone Plus proportions, the sides – similarly ample. 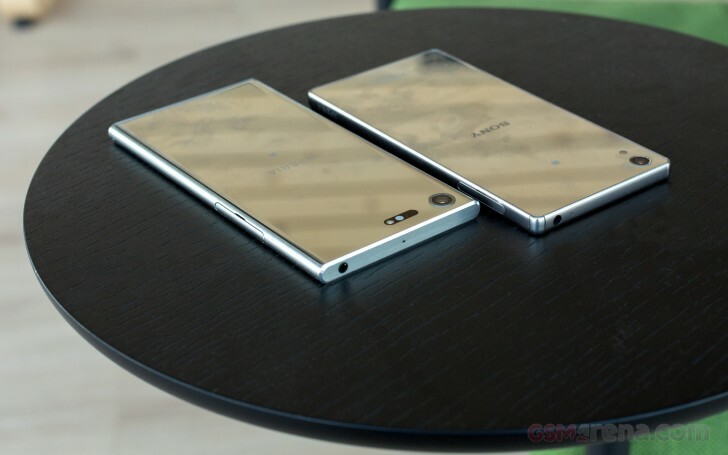 Even the old Z5 Premium was smaller in all directions, lighter and yet with a bigger battery. This entry was posted in SONY. Bookmark the permalink.